Meet Dr. Alan Ross, an exceptionally gentle Keene dentist who believes in quality one-on-one care for General and Cosmetic Dentistry. With 28 years of experience, you can trust Dr. Ross and Keene Family Dental to handle all aspects of your dental care with the most advanced technology, procedures and equipment. Whether it’s routine care, dental crowns, implants, veneers, dentures, extractions, gum disease, teeth whitening, invisible braces or emergencies, we will always explain all your treatment options and provide top quality care at an affordable price. 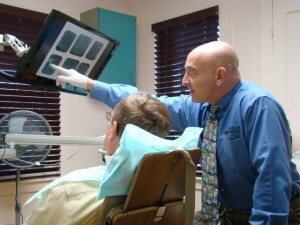 When you have dental problems, you need to turn to a Keene dentist who listens and responds… an experienced dentist who knows the field and can effectively diagnose and treat your needs… a friendly dentist who counsels you on the best ways to maintain and improve your teeth and gums. Dr. Alan Ross is a “Pankey-trained dentist” who was taught how to treat his patients as individuals, how to do complete examinations, how to take enough time to listen and answer questions fully, and how to create a practice that reflects his own personal values. That’s why you should call Keene Family Dental at 603-357-6767 for a consultation. At Keene Family Dental, we strive to make our office as comfortable as possible. Included in these web pages is information about Keene Family Dental’s office, including maps, directions, hours, insurance policies and appointment scheduling. You can even e-mail a request for an appointment right here. “Good dental hygiene and regular care are vital necessities of healthy teeth and gums”, says Dr. Ross. “Give me just one visit for the best dental experience in your lifetime“. Dr. Alan Ross focuses on maintaining a professional, health conscious, patient-oriented, stress-free environment where patients will always feel comfortable. Our practice has a reputation for treating our patients like family. 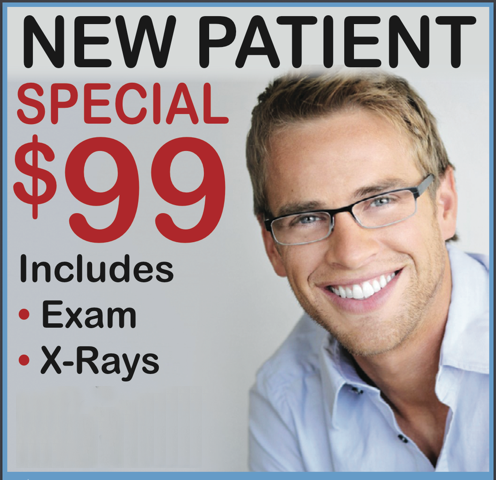 We want you to feel comfortable during each dental treatment. With our comfortable, hygiene chairs, TVs and headphones available for your entertainment, and oral sedation for patients with anxiety, you’ll feel more like you’re spending a day at the spa than visiting the dentist! Your oral health and overall well-being are our top priority! Please contact our Keene NH dental office at (603) 357-6767 to schedule your next dental appointment. We look forward to meeting you, and helping you achieve a lifetime of healthy, beautiful smiles!